Gorgeous European style expanded ranch on secluded partially wooded 8.31 acre lot in NW section of town, backing up to Assunpink Wildlife Preserve with easy access to main corridors. Solid block construction with stucco finished exterior and terracotta front patio. Newer stylish kitchen with upgraded appliances, oak cabinets, granite counter tops and tiled back splash overlooking open family room area complete with cozy wood stove and terrazzo flooring. 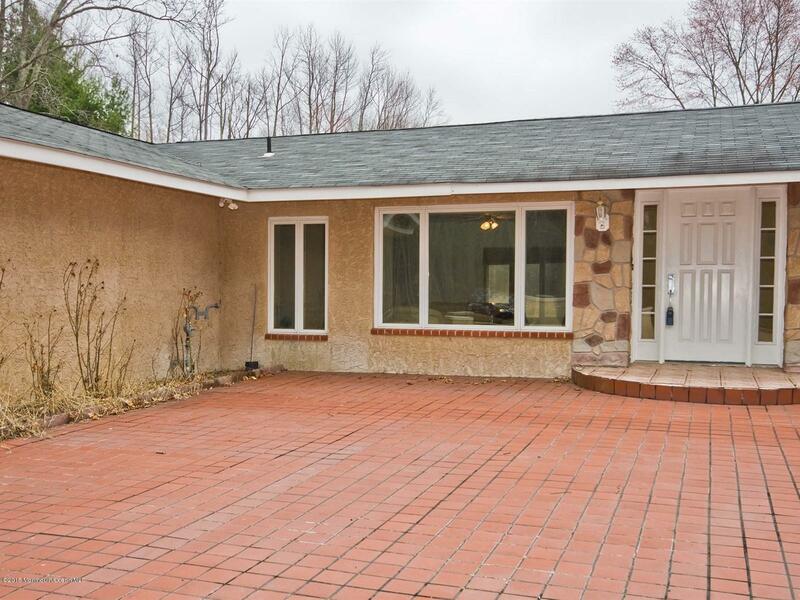 Very large three seasoned tiled sun patio with sliding doors leading to cleared yard. Perfect for mother daughter complete with 2nd kitchen in 3 season room with separate entrance. Large 3 car garage. Owners have plans for second floor.